Today’s post was written by Sarah Bau, a Year 4/5 teacher for Our Lady Grace School in Australia. I love a good checklist. There’s something very satisfying about making a list and checking off each item as I go. The humble checkbox is one of the first things that I discovered about OneNote—and it’s still one of my favorites. 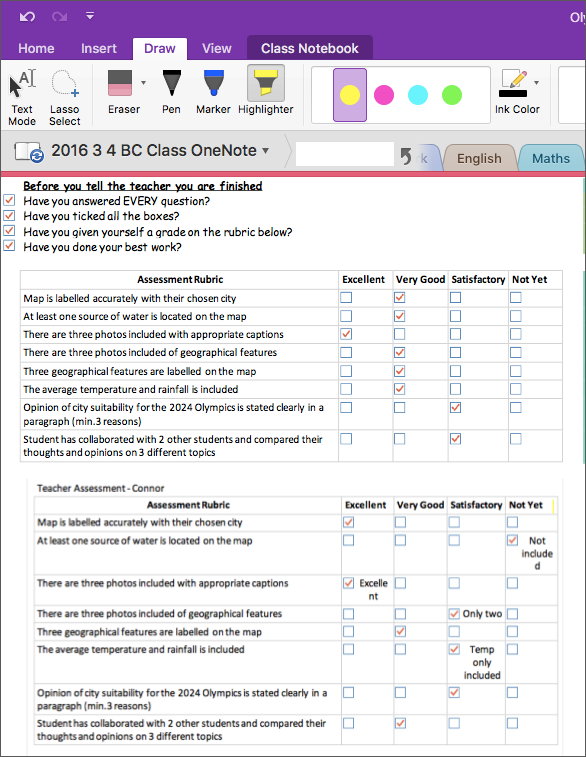 When I began using the OneNote Class Notebook, I quickly realized that my students also get a lot of satisfaction out of checking off tasks as they finish them. Breaking tasks down into smaller sections, each with its own checkbox, helped my students with planning difficulties—such as those with autism, dyslexia and processing disorders. 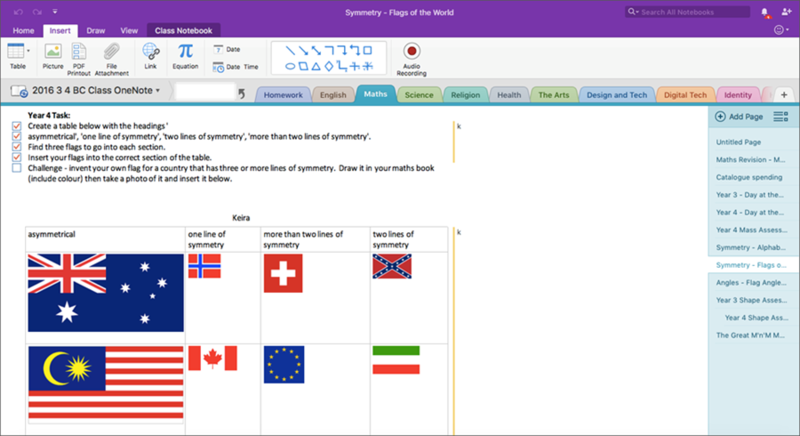 Projects or inquiries, which went over several lessons, became less daunting to these students because they could reopen their OneNote at the start of each lesson and see exactly where they were at a glance. But I really hit checkbox gold when I began incorporating them into my assessment rubrics. We have a big emphasis on making learning visible at Our Lady of Grace School, so rubrics are always given to students with the initial assignment information. We go through the rubric at the start of the unit. Students have their own copies to look over as they work. I have taught them to refer to the rubric throughout their assignment so that they can make sure they are on track and have given themselves the best opportunity for success. Changing the layout of the rubric slightly allowed me to add the checkboxes. The students were then able to self-assess their work as they went—ensuring that they had met each assessment criteria. My students use these rubrics in a variety of ways. One of my students told me that he makes sure that he has covered each assessment criteria to a “C” standard (average), and then goes back over his work and attempts to improve upon each assessment criteria—beginning with the criteria that are worth the most points. This student was just eight when we had this conversation! Not only is he using rubrics and checkboxes in a sophisticated manner, but he is also using the checkboxes as a time-management tool! With my encouragement, students are permitted to have another student give them feedback on an assignment before submitting their work to me. They copy their page to the Collaboration Space, where another student reads and assesses their work using a copied and pasted rubric. The student attaches their peer assessment to their own work and attempts to make improvements before submitting to me. When I assess their work, I copy and paste the rubric into my Assessment notebook, adjust the checkboxes as necessary and write a comment. I then take a screenshot of the whole lot and paste it back into the student’s page. This way there can be no “accidental” changes made to the checkboxes after I have assessed, and I have a record in my own OneNote that cannot be tampered with. I give my students time to review their completed assessments and to set goals on which areas they will work to improve in their future work. 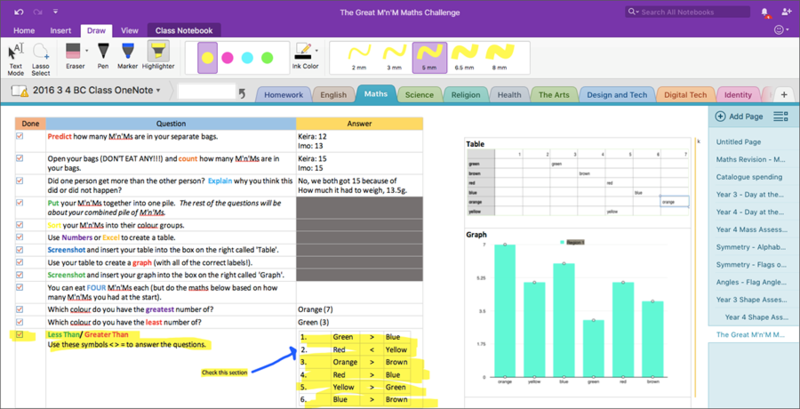 As OneNote allows students to sign in to their OneNote Class Notebook anywhere, I encourage my students to share their learning achievements with their parents at home. Parents and students love the accessibility of OneNote and the prompt feedback that it provides. 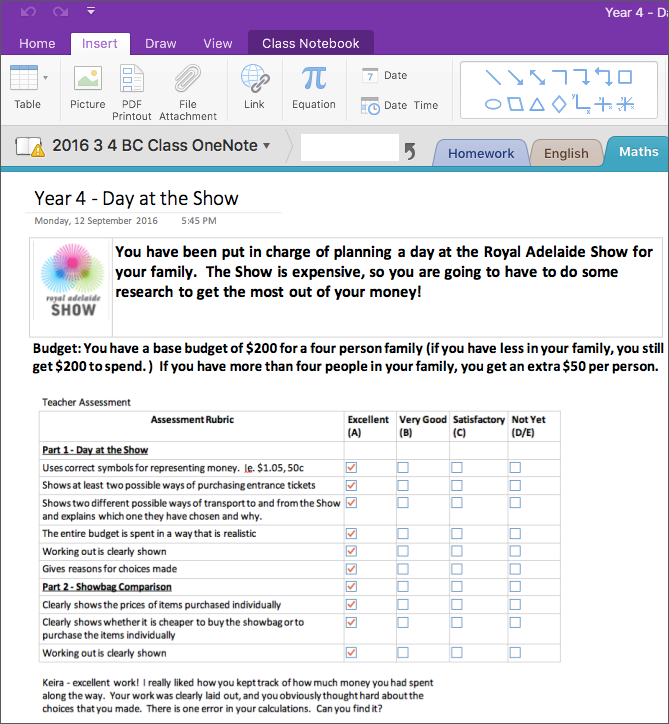 Using checkboxes in rubrics with OneNote has enabled my students to become independent in their learning, proficient at peer assessment, better at time-management skills and reflective in their own learning. Not to mention they have the added satisfaction of checking off work as they complete it! Join our #OneNoteQ TweetMeet on the first Tuesday of every month to learn from the OneNote experts on Twitter. 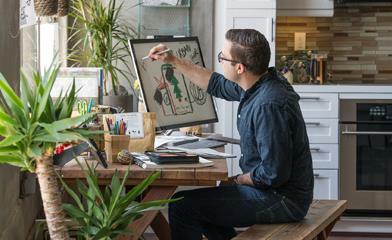 Visit the Microsoft Education blog for details.